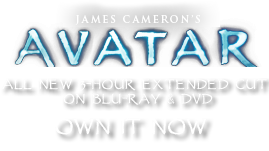 Clawenia purpurea | Pandorapedia: The Official Guide to Pandora | Own AVATAR on Blu-ray & DVD Now! The cillaphant is magnetonastic and able to detect and orient itself towards a magnetic field. When this occurs the tubular leaves will twist to point in the direction of the magnetic field and the sharp tips of the leaves will sometimes eject. (Although this action is believed to be defensive in nature, botanists are still unclear on the exact motive force behind the behavior.) Miners working near deposits of unobtanium are in particular danger from shooting cilliphants; several workers have been hit by the tips without injury. While the cillaphant typically grows on the soil like other plants, it can survive in a wide range of habitats. It is often found growing attached to other plants, sometimes high in the canopy, where it obtains the water it needs from fog, dew, and rain that collects in the rosette. Taxonomy Clawenia purpurea. Named for resemblance to a claw and purple color. Botanical Description Herbaceous plant with fleshy elongated leaves bearing sharp tips. Leaves grow in a cluster with two elongated, flexible, tubular leaves arising from the center. Ecology Can grow in variety of habitats including on the ground or attached to other plants. Attracted to magnetic field, which causes sharp tips to eject from tubular leaves.